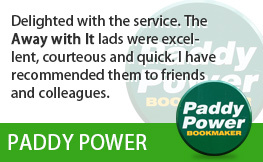 Why Choose Us for Clapton Hire? When it comes to skip hire, there are two key things that customers need: reliability and cost. 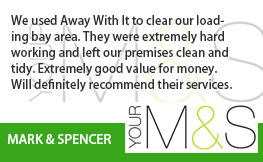 Whether for a residential or commercial property, we know you need a friendly team and a skip hire solution that is tailored to suit your needs. 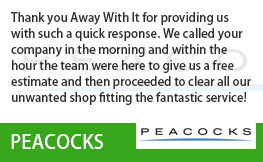 Whether you want to get rid of builders’ waste or clear an attic, we can help! Also, if you need our help fast, we can offer same-day quotes and services. You don’t need the hassle of getting quotes from other providers or waiting ages for a skip to be delivered. During this time waste can amount up and cause you unnecessary stress. 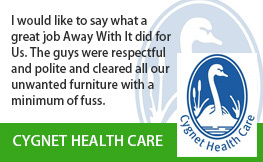 With our help, it doesn’t need to. Here at Away With It, we work from 7am to 11.30pm, 7 days a week. All it takes is one phone call and a no obligation same-day quote to get the ball rolling. 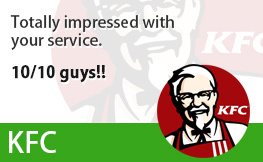 We can even provide same-day quotes and services if it suits you! 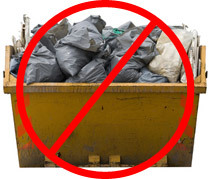 When you hire a skip, you often pay for the whole skip, irrespective of how much space you use. At Away With It we do things a little differently because we think it is only fair for the customer to pay for the space which they use. This makes our skip hire a far more cost-effective option. Furthermore, we have different services that offer flexibility to customers, whilst offering different levels of expense to suit a wide variety of budgets. We have been providing skip hire in Clapton for years but that is not all we offer. For those who want an alternative to traditional skip hire, we can provide manned waste removal trucks. Take the weight off and enjoy a cup of tea, whilst a happy team of waste removal experts carry your waste to our van. They’ll even tidy up after themselves! Not only is no heavy lifting a real bonus, and particularly helpful for our customers who are heavily pregnant or disabled, waste removal vans can often be cheaper. 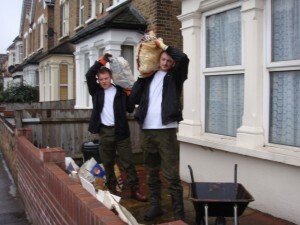 Get Your Quote for Skip Hire in Clapton Now! 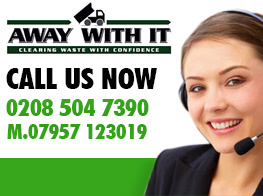 If you haven’t used a waste removal firm before we know it can be a little confusing. 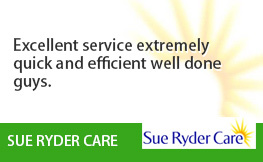 However, our expert team are on the end of the phone to talk you through your options. Skip hire in Clapton does not need to seem daunting or complicated, simply gives us a ring on 0208 504 7390 and a friendly team member will be happy to answer any questions you have. When you call us, we’ll arrange a time to visit that suits you. All our quotes are free and without obligation and we will always provide you with the most cost-effective solution to your needs. Get in touch today!